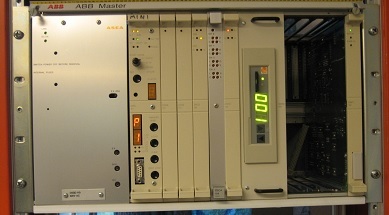 The DDR unit replaces the old 5.25" floppy disk drives, DSMD 113 and DSMD 110, in ABB Master automation systems. The unit uses SD memory cards for storing of data. 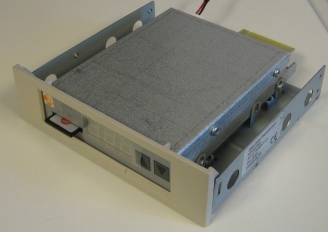 An installed DDR unit will be handled as a normal floppy disk drive by the automation system software. Removing the old DSMD unit and installing the new DDR unit can be done without switching the power off on the automation system. For detailed description, general technical data and requirements, see the DDR User's Guide. used in 19" racks for example MasterView 850.
used in small cabinets for example MasterView 810/830. DSMD 110, the entire circuit board, used in 19" racks for example MasterPiece 200 and Tesselator 8400. DSMD 110 used in for example MasterPiece 200. The DDR unit uses built-in buttons on the front of the unit to change the "active floppy disk", which is indicated on a display on the front. The unit uses SD pre-formatted memory cards with the capacity of storing data corresponding to a maximum of 200 diskettes (1.44 MB format). Changing SD memory card in the DDR unit can be done with the power on. 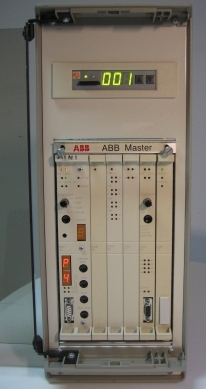 The product DDR is fully compatible with the ABB MasterView product family 810/830/850, MasterPiece 200 and TESSELATOR 8400/9800. The unit can also be used in a standard PC. The DDR unit can be delivered with pre-programmed SD memory cards containing the system software and data for your automation system! 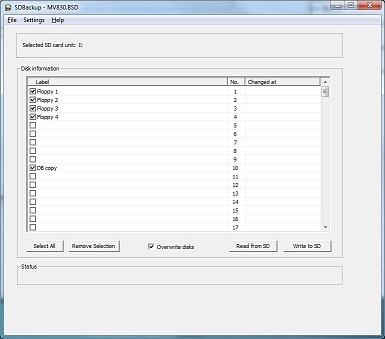 The PC software product SDBackup allows easy backups of the SD memory card directly to a PC computer hard drive. The backup can later be restored to a SD memory card. The product SDBackup works with any PC compatible SD card device handling 2 Gbyte SD memory card on Microsoft Windows 10/8/7/Vista/XP/2000.